“I Wish I Knew a Bigger Word Than ‘Love. '” Words and music by Eddie Pola and Melville Gideon (1933). 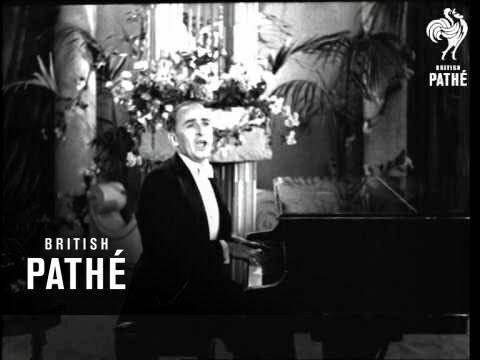 Recorded on February 14, 1933 in London by Elsie Carlisle. Decca F. 3435 mx. GB5585-2. A collaboration of American expatriates Eddie Pola and Melville Gideon, “I Wish I Knew a Bigger Word Than Love” compares the depth and complexity of human affection with that four-letter word “l-o-v-e” and finds the latter wanting. This is a light song, an uncomplicated conceit with repetitive lyrics and a catchy tune attached. 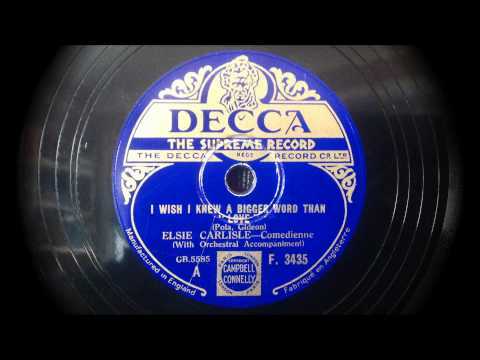 Elsie Carlisle’s rendition of it conveys a fair amount of innocent enthusiasm, but one gets the feeling that she is in on the fundamental silliness of the piece when she begins, about halfway through, to speak the lyrics in an exaggeratedly thoughtful way.